Here's the history behind these books. Here's the story behind those books. 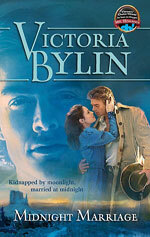 How are my Harlequin Historicals different from the Love Inspired Historicals? My HHs all have inspirational themes, but they do NOT comply with CBA standards. Reader beware! This books were written for a secular audience. They’re about saints who’ve stumbled and sinners who’ve made terrible choices. They have rough language and love scenes. I don’t recommend them for younger readers unless they’ve already crossed lines I wish they hadn’t. 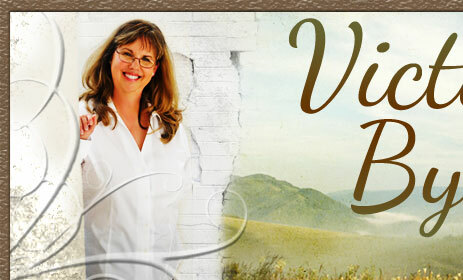 These books were written for mature women already accustomed to mainstream romance. My first manuscript didn’t make the cut, but I received what writers call “good rejections.” I was encouraged and kept writing. 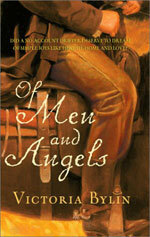 Miraculously, my second manuscript (Of Men and Angels) sold to Harlequin Historicals out of the slush pile. It was one of two manuscripts my first editor purchased in this manner. I took it as a sign and kept going. A few days later, my editor called. “Vicki,” she said. “We’ve got some problems.” She went on to say that in spite of major flaws, they wanted to buy the story as part of a three-book contract, but that I’d have to rewrite the middle ten chapters. I hit my knees before I said yes. You see, I know these books are on the edge. I’ve thought long and hard about how far to go without crossing the lines of good judgment. That night, I felt a stillness, a calm. God obviously doesn’t speak out loud to me, but I had a strong sense of him saying, “Are you nuts, child? I just gave you a three-book contract and you’re doubting I want you to write?” I called my editor the next day and signed up for the ride. 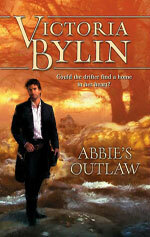 The next book was Abbie’s Outlaw. My editor said she’d never read anything like it. I can see why. 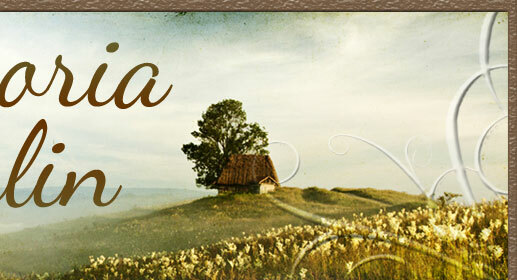 On one hand, it has strong inspirational elements, but also has love scenes. Without the sensual elements, this book wouldn’t have a plot. Without the inspirational elements, it wouldn’t have characters. 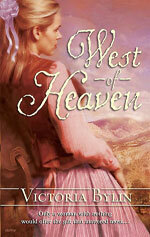 It’s about a woman whose been sexually abused and a gunslinger-turned-preacher. This man has committed the gravest of sins and knows the need for grace. It was a struggle to write . . . I wanted to quit, but then God gave me another sign. I was in the car at a time I’m never in the car. “Focus on the Family” came on the radio. As I made a right turn, James Dobson explained that today’s topic wasn’t for children. It was about sexual sin and abuse. He proceeded to outline the exact themes I’d used for Abbie’s Outlaw. He also said we need to address these hard, private issues. That’s what I tried to do. 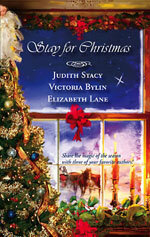 I didn’t get a lot of mail on this book, but it finaled in the RWA RITA awards. One reader said the Reverend John Leaf made her want to go back to church. That means more to me than anything. No harm, though. It convinced me to shift gears. My next HH, “A Son is Given” in Stay for Christmas, has some strong language and a memory of a wedding night, but other than that, it’s an inspy. Do you have anymore HH’s on the pub schedule? No. I pretty much did want I wanted do with HH. 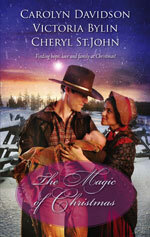 My last book for them was a novella in The Magic of Christmas. It came out in October 2008, and I was matched up Carolyn Davidson and Cheryl St. John. My novella is called “The Christmas Dove.” I loved writing it and hope readers are touched by the overriding messages of forgiveness, redemption and grace.